The cruise industry is one of the fastest growing areas of the travel industry. The advances and improvements in cruise liner vessels (which now include everything from bowling alleys to a la carte restaurants) alongside the vast array of destinations now accessible through cruising vacations are thought to be some of the reasons behind the titanic 2100 percent growth in the industry since the 1970’s. Despite many major cruise liners trying to steer away from their stuffy, ‘adult-only’ reputations by tailoring their cruises for families, there is still generally considered to be a certain etiquette to sea travel – or at least a way of planning and behaving that ensures you get the most out of your vacation. For first time cruisers this can be daunting, so here are some tips to help you dispel the myths behind cruising vacations and help you to plan in a way that ensures you have the best possible trip. Myth: All cruises require formal dress so don’t forget to pack your tuxedo. Fact: Whilst some of the more luxurious liners do hold formal evenings, it’s unlikely that you’re going to need to pack a choice of ball gowns as the vast majority of cruise liners opt for a ‘casual, resort wear’ dress code. However, there may be some prohibited items of clothing in the restaurants so do check that it’s appropriate before heading down to dinner in your jeans. It is estimated that first time cruisers pack up to double the amount of clothing that they actually need. Don’t get carried away and instead base your packing on the type of cruise liner you’re going on and the destinations you’ll be visiting – allowing for different activities and climates. Remember that there are often laundry facilities on board so you can recycle your outfits and always pack a good pair of walking shoes along with your by-the-pool sandals so you’re prepared for your on shore excursions as well as your on board relaxation. Other practical items to pack are an alarm clock, travel adaptor and toiletries as it is not guaranteed that they will be provided in your cabin. Myth: Once you’re on board, everything is free. Fact: Although there are usually ‘all inclusive’ options when it comes to dining and activities onboard, you will find that there are often several other hidden costs. When your ship docks, all passengers are required by local government law to pay port fees and taxes. This may be covered in your original quote but can sometimes be charged at an additional cost so do check your policy to avoid any nasty surprises. Although the food served in the main dining/buffet area is covered under the cost of your cruise, most alcoholic drinks and sodas will be charged extra and opening up a bar tab incurs an automatic gratuity charge each time. There will also be many other eateries and snack bars to tempt you away from the more frugal options. The same applies to on board activities – whilst most come for free, the more appealing ones (such as spa treatments, classes and tours) may come at an extra charge. Don’t forget to allow for tips too. Tipping policies vary by liner, but generally speaking you will be expected to tip up to $12 per day, to be distributed amongst staff such as waiters/waitresses, stewards and cabin cleaners. Fact: For some people, the prospect of essentially living on a boat for a lengthy period of time can be a worry. Boredom, claustrophobia and seasickness are a few of the main concerns for inexperienced cruisers. But these are not normal boats. Consider Royal Caribbean’s ‘Oasis of the Seas’ – with a gross tonnage of 225,282, this ship is so big that it has its own neighborhoods! Not to mention a spa, a faux beach, an ice skating rink, shopping center and variety of activities such as cookery classes, musical shows, rock climbing and scuba diving. Because these types of vessels are so big (and often come built with stabilizers to minimize rocking) you won’t usually feel to motion of the ocean and are therefore less likely to suffer from sea-sickness too. Myths: Cruises are for old people. Fact: Cruise liners have made huge leaps in extending their target market to families over the past 10 years and in return there has been a 50% rise in children on cruising vacations. Now, some cruise liners such as Disney Cruises and Norwegian Cruises (who are teaming up with DreamWorks) are catered solely for families and even the ones that are not provide a babysitting services, kids clubs and organized entertainment for your little ones. Sporting competitions, parties, treasure hunts and sleepovers are just a few of the things on offer to keep them busy. Do bear in mind that due to the limited sanitation system on all cruise liners, any young children who are not potty trained won’t be allowed in the swimming pools even if they are wearing swimming diapers. 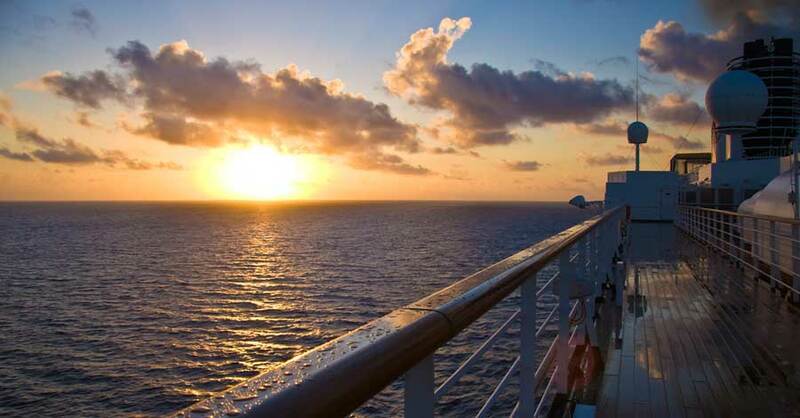 Myth: You don’t really need travel insurance for a cruise. Fact: Travel insurance is important for all vacations. Many people adopt the ‘it will never happen to me’ attitude when it comes to parting with their cash, especially on a cruise where you’re in the same place for most of the time – what could possibly go wrong? Unfortunately things do go wrong and so cover when you’re cruising is important to safeguard yourself in the event of baggage loss, cancellations or disruptions. Because medical treatment on board a cruise is very expensive, you also need to be covered in case you fall ill or have an accident. Every policy differs but generally speaking you will be covered against all of the above along with any delays due to technical problems with the ship and emergency evacuations. However you probably won’t be covered for inclement weather or changes to the scheduled itinerary. Are you looking for an incredible experience this spring break? Here are some reasons to consider a Caribbean cruise as your option. Write your own fairy tale Valentine's Day cruise, there is a different type which any couple can enjoy. Fairy lights are twinkling onboard, the ship is decked with boughs of holly, and you can’t help but go “Fa-la-la-la-la-la-la-la-la!” Don’t resist the urge, Christmas is definitely the best time to go on a cruise!